Being Pregnant Doesn't Mean You Can't Exercise - But What Exercises Should You Do? Staying fit when pregnant is very important for mother and baby but there are precautions about what type of exercises you should do as a pre natal women in the UAE. Many pre natal women in the UAE are under the wrong impression that physical exercise is bad for baby. Adding some element of exercise during the pre-natal stage of your pregnancy has so many health benefits. You don’t need to run a marathon or hit the gym every day to stay fit and healthy during your pregnancy in Abu Dhabi, Dubai or Sharjah. If you already train regularly you only need to make small changes to your training regime. If you don’t currently work out then now is the time to start – get in a routine and it can even make your pregnancy easier. Being pregnant in Abu Dhabi or Dubai doesn’t mean you need to stop exercising; in fact it’s the best way for mother and baby to stay fit and healthy. As a prenatal specialist trainer in Abu Dhabi do you feel that sometimes there is too much conflicting advice about prenatal exercise? There is lots of advice about how best to look after yourself and your baby in pregnancy. It’s such a sensitive and significant time in a family’s life, it’s important to follow what feels good for you and your family. For my pre-natal personal training clients in Abu Dhabi I always advise staying active during pregnancy, to enjoy movement and stay supple and fluid. Everyone has a very different level of ‘active’. Pregnancy is not the time to start running if you are not a runner. And equally it’s not an excuse to give up all fitness if you have a good baseline. But it’s hard to know the best level to pitch your exercise to when you are newly pregnant. That’s why it’s great to work out with a qualified pre natal personal trainer in Dubai, Abu Dhabi or Sharjah to help guide you safely and effectively. Pregnancy is such a special time in a woman’s life and it’s made so much better if you feel good and have energy to enjoy your baby bump. 2. 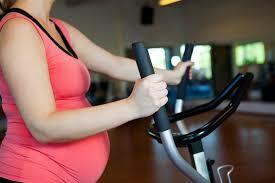 Many prenatal women are still worried that exercising when pregnant can harm the baby. What advice do you give to your prenatal clients in Abu Dhabi who might be a little worried? Exercise is a fundamental requirement for everyone’s wellbeing – that includes pregnant women in the UAE. Therefore it shouldn’t be any different during pregnancy. If anything, its more relevant than ever! Gentle movement, stretching and mindful breathing is so good for you and so good for your baby. Research shows that exercise during pregnancy can lower the risk of gestational diabetes and preeclampsia during pregnancy. It also strengthens muscles in preparation for childbirth, and if we maintain a good baseline fitness during pregnancy, we can return to our pre-baby fitness levels much easier when baby is here. We want to set our little ones up with the best chance in life from the womb. Learning your limits, understanding why certain moves should be avoided or focused upon and keeping your body functioning at its best for your growing baby is so important for a healthy and enjoyable full-term pregnancy. There are so many options for prenatal women in the UAE who want to exercise or keep up their training regime while pregnant. 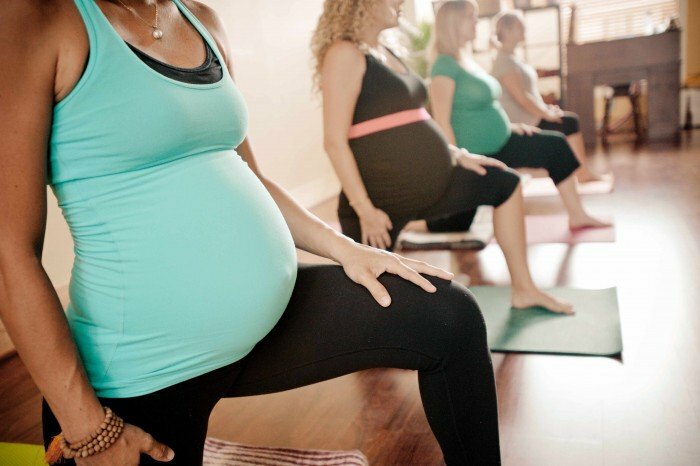 Exercise methods range from Yoga for prenatal, Pilates, Flexibility Training and more. Can you list what you think are the top 5 prenatal exercise methods based on your experience as a prenatal personal trainer and also describe how these exercises work and the benefits they provide? Prenatal yoga training in Abu Dhabi or Dubai is a great starter. It stretches out tired and achy muscles and encourages you to engage with your breath and your baby. Deep breathing is so beneficial to baby (fresh oxygen into the baby’s cells helping everything to form) and to keep mummy calm and centered so blood pressure and heart rate remain stable and healthy. It’s a lovely way to take time for you – especially if you already have a toddler running around! Time for you before the baby arrives is crucial! Prenatal yoga also steers you through some very important poses to help prepare your body for labour. Brisk walking or jogging if you are already a runner. It gets your out in to the fresh air and moving naturally. And you don’t need any equipment to do it! Pushing your heart rate a little is good for both you and baby – but within a safe zone. A fast walk involving strong arms and good breathing can become a very decent cardio workout. Especially if you are mindful of pulling up through the core and engaging the pelvic floor. Jogging should be contained to the first thirty-weeks only, thereafter the weight of the baby can be a little taxing for your pelvic floor, and as prolactin builds in the joints, injuries are more likely. But if you are a runner already, jogging can bring you a little injection of those endorphins you may be craving. Swimming is a wonderful all-round exercise. Pregnant or not! The heart and lungs are working, the big muscles of the arms, core and legs are all moving together in harmony, and there is zero impact. Perfect for pregnancy. The prone position (facing down) of breast stroke or freestyle allows the belly to be weightless (a welcome relief towards the latter stages of pregnancy!) and swelling is reduced being surrounded by cool water with circulation pumping. Mummy should never be out of breath while swimming but a nice pace to encourage the blood to pump is extremely refreshing and beneficial. Weights can also be a great complement to the cardio and stretching based methods above. Overhead weights are best avoided as it can increase the blood pressure and strain the pelvic floor. But with the guidance of a qualified trainer, weight training is fantastic way to help prepare the body for labour. And for baby-carrying when baby is here. Prenatal pilates is without doubt, THE BEST way to keep hold of that core during pregnancy, and build a strong, healthy frame in advance of your little one’s arrival. It’s a safe and effective workout for pregnancy with zero impact and deep muscle strengthening and lengthening. Prenatal pilates should be practiced with a trained professional in order to gain the full benefit. Are there any exercises or workouts that should definitely be avoided during pregnancy? The obvious ones like very high impact movements and sequences should be avoided certainly towards the end of the pregnancy. This is relevant to the pelvic floor, as well as compromised joints with a flood of prolactin in the body. Anything that doesn’t allow a free flow of breath should also be approached with extreme caution. What you breathe, your baby breathes (much like what you eat, your baby eats) so we need to be sure there is never a restriction of breath in all prenatal exercise. Supine movements (lying on your back) can be a problem for some women as the weight of the baby can press down on a major vein restricting blood to the brain. When exercising in Abu Dhabi too much abdominal work for pre-natal women can stress the muscles that are wrapping around the baby – despite it being all you want to do to curtail a growing belly! Overworking the abdominals in pregnancy can lead to diastasis recti later (a separation of the abdominal muscle wall to allow for the baby to grow). So while pregnancy is not an excuse to ditch exercise altogether, you can leave the crunches behind! A qualified pre-natal trainer local to you in the UAE can help guide you through the best moves for your core without heading towards ab separation later down the line. It is necessary to find a balance between the duration of cardio workouts and the intensity. If the exercise is on high intensity, then the optimal duration can be only 20-30 minutes for each session. If the exercise is of moderate intensity, your optimal duration will be 30-45 minutes. If the exercise is of low intensity, it is likely that the duration will be 45-60 minutes. Each of these exercises can burn a similar amount of calories due to different levels of intensity. And instead of fat in the fire of metabolism, the blue flame burns protein amino acids. After two hours of cardio, the body loses up to 90% leucine (an amino acid that predetermines muscle growth). For optimal fat burning, usually three days a week for 30 minutes with sufficient intensity to burn at least 300 calories per session. Three days a week cardio combined with three days a week of strength training and conservative food cuts will be a great start, and call “basic training”. After you can complete basic training, if you want to burn more calories, speed up your results or break a plateau, you can increase the frequency of cardio sessions up to 4-6 days a week. At the end it should be noted that in spite of constant cardio exercise you cannot lose fat. Because there will be no attention to the diet. An example – two doughnuts – will replenish your body with 600 kcal which equal to hour running on the treadmill. Thus, solving the problem of fat reduction – diet is in the first place. What overall benefits does regular exercise provide while pregnant in the UAE? Regular exercise in Abu Dhabi, Dubai or Sharjah while pregnant brings a huge host of benefits to mummies and babies. It reduces blood pressure, and improves circulation, it helps the body adapt to a changing posture, and strengthens the frame of the body to help carry a growing baby bump, it boosts energy levels and encourages peaceful sleep (so important before sleepless baby arrives! ), it helps maintain a healthy weight gain throughout the pregnancy, and therefore a quicker, easier bounce back after birth. Studies have also shown that the risk gestational diabetes and preeclampsia are reduced with regular exercise and a healthy diet. It lifts the mood and wellbeing of mummy which is reflected internally to baby. Its just a great complement to a healthy diet and a happy home for baby to arrive into. Should exercise and training be stopped or reduced at any set time during pregnancy, at 7 or 8 months for example? With a qualified, professional pre or post natal trainer, exercise can be performed right up until the day of the birth. Rest and relaxation is important to factor in towards the end of the pregnancy for sure, but healthy, active habits shouldn’t stop at 32 or 36 weeks necessarily. This could be exactly the time that your body needs a little more attention and care. With a qualified trainer, the intensity and structure of the workout will definitely adjust and adapt according to the stage of pregnancy. As long as mummy is still enjoying the benefits and does not feel light headed or dizzy, gentle exercise and movement can continue right up to the happy when baby makes an appearance. Staying fit and healthy during your pregnancy in the UAE is easy if you follow some simple steps and get the right advice. 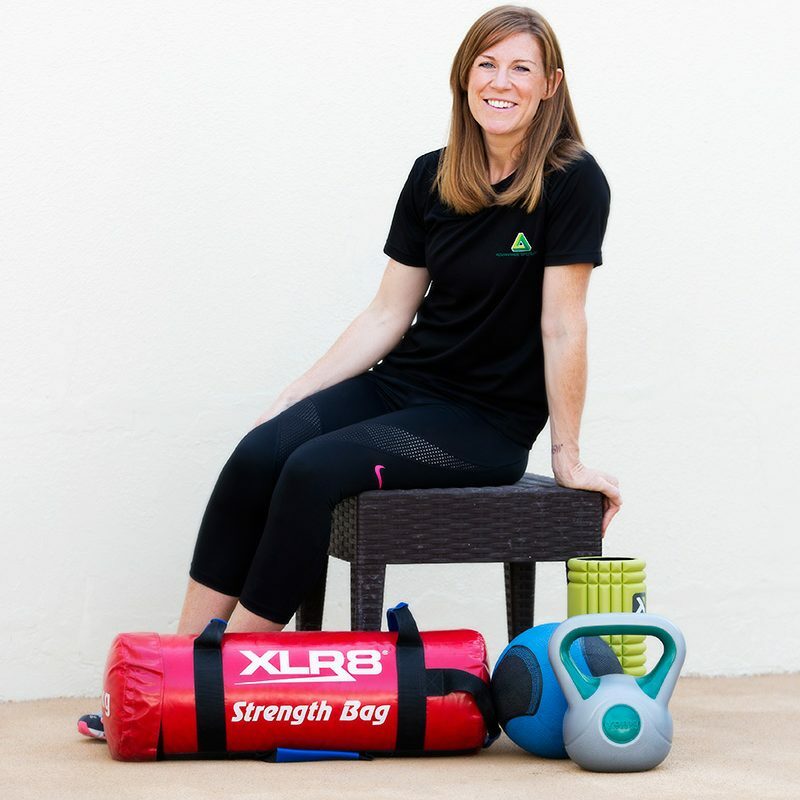 Fiona is a specialist pre and post natal personal trainer based in Abu Dhabi and can provide tailor made fitness plans for all your pre and post pregnancy exercise needs. You can view Fionas’s full Abu Dhabi, UAE personal trainer profile by clicking the link below.